FC Sauces LLC is the distributor of Chef Reno's specialty sauces and marinades. Scrumptiously delicious, these original sauces were created to enhance meals and seafood served at Fresh Catch Restaurants in Hawaii. Due to the overwhelming request by customers, FC Sauces now offers the sauces for sale to everyone. 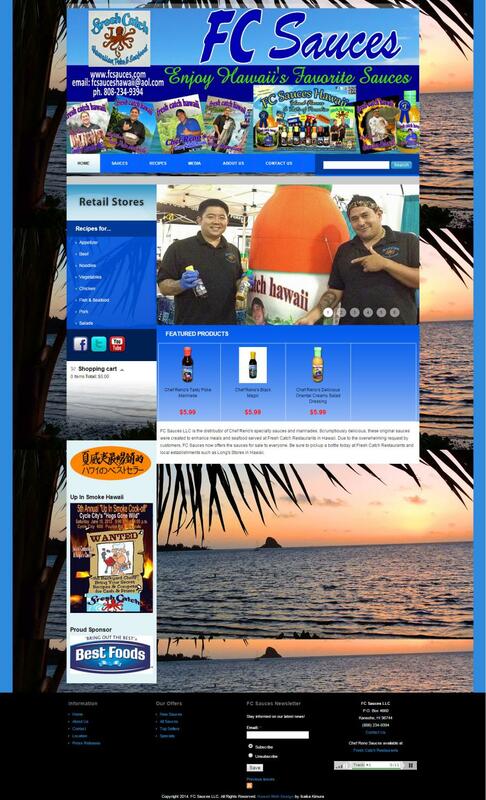 Be sure to pickup a bottle today at Fresh Catch Restaurants and local establishments such as Long's Stores in Hawaii.